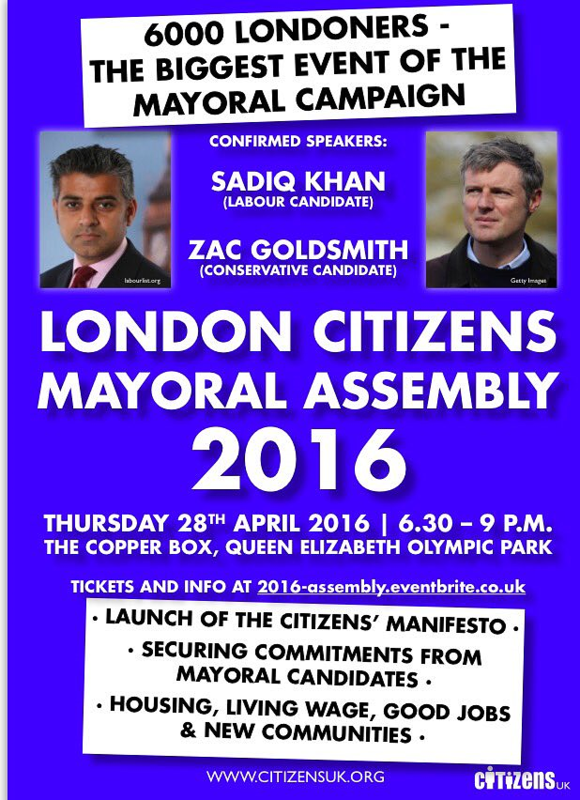 London Citizens will host a mayoral debate with Labour and Conservative candidates on Thursday 28 April from 6:30pm to 9pm at The Copper Box, Queen Elizabeth Olympic Park. At the debate, London Citizens will present the candidates with their housing manifesto, which will tackle the key issues around the housing crisis in London – the cost of renting, the cost of buying and rogue landlords. UELSU will be sending a cohort of students and staff to the event and we would like your help! We’re looking for students who are passionate about the issue and want to help with the campaign. If you’re interested, please email r.queree@uel.ac.uk by Friday 18 March.